"Improving the quality of people's lives through real estate investing"
Here is a great quote from Tomas J. Watson who built the IBM, Corporation, into the world's largest manufacturer of data-processing equipment. Would you like me to give you a formula for success? It's quite simple, really. Double your rate of failure. You're thinking of failure as the enemy of success. - or you can learn from it. So go ahead and make mistakes. Make all you can. Because, remember that's where you'll find success. Welcome to "Real Estate Investor Training"
Thank you for visiting. This site is dedicated to sharing information and knowledge with new and seasoned Investors. I hope you will come back often and good luck with your real estate investing. Sign up today to receive FREE e-books, special reports, and other great information on real estate investing. Get this banner and link to us. Dennis Henson is President of Vanguard Marketing and Investments and the AREA (Arlington Real Estate Association of Investors. He is the author of "Becoming Wealthy in Real Estate" an Investors Guide to Riches. He is an expert at controlling property for profit without ever taking title and many other creative techniques. 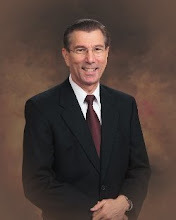 With over 38 years in the real estate investing experience Dennis has done numerous profitable real estate transactions throughout the Southern United States. Dennis specializes single family investing and is experienced in all aspects of real estate investing—options, rent to own. installment land contracts, contracts for deeds, pre-foreclosure, foreclosure, bankruptcy, probate, contracts for purchase and sales, subject to, wrap around mortgages, seller carry back notes, land trusts, leases, creative financing and other areas of real estate investing. Dennis is sometimes called leading expert on single family investing. He stays on the cutting edge of his trade by actively seeking out and teaching the best and newest ideas in residential real estate investing. As a mentor and teacher Dennis has helped hundreds of investors get off to the right start in this business. He also works with many experienced investors helping them take their business to the next level. Examples of his training can be seen on his training website at www.dennisjhenson.com. Well known throughout the Dallas Fort Worth Metroplex as a nationally as a teacher author and speaker on real estate investing—Dennis built a multi million dollar single family real estate empire while working as a full time facility manager for a multi-billion dollar corporation. While many people start investing in Real Estate to become wealthy—Dennis’ goal was to improve his lifestyle. Real Estate has allowed him to live the life of his choice. He left behind his nine to five job, the long commutes and the need for a coat and tie. Not only is he on his own schedule but he mastered the technique of generating cash on demand. As a result he works when he wants to work and plays when the spirit moves him. Wealth has just been a by-product of his real estate pursuits. Armed with both a bachelor’s and a master’s degree in education--Dennis offers a unique, personal--one on one--mentoring system that provides individual training to new and experienced real estate investors throughout the United States. He has been helping students put their real estate investing businesses on steroids for many years. Dennis teaches that the ability to succeed in the real estate investing business lies in understanding and implementing seven unchangeable laws of nature. Fail to follow these great principles and a business is doomed but learn to follow their wisdom and “You can no more fail that water can run up hill”. Weather you are a seasoned investor or just starting out—your ability to make money buying and selling or buying and holding single family homes lies in your knowledge and implementation of the “Seven Secrets of Successful Real Estate Investing”. Get Free Business Cards--Click on "Training Materials" link and go to bottom of page. Quote by James Allen: Author, As a Man Thinketh. Real Estate "Signs of Attraction"